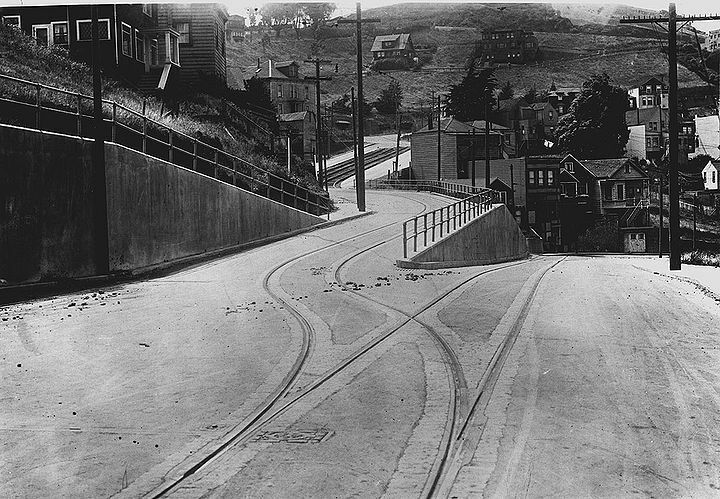 Market Street switchback at Mono and Caselli and Clayton, 1921. 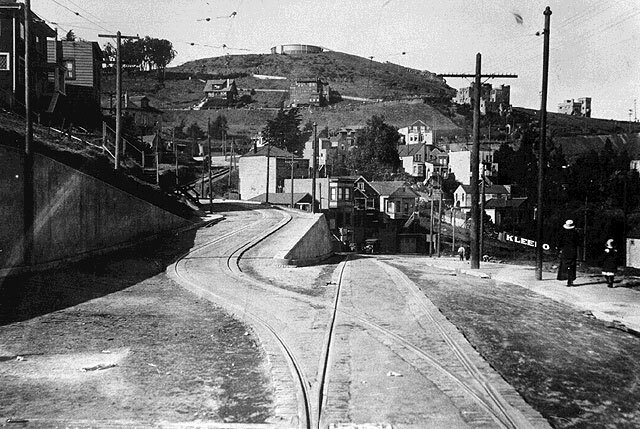 Market and Clayton switchback, c. 1920. 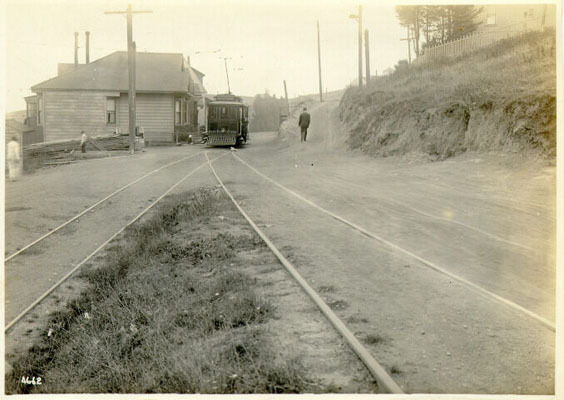 Market was called Falcon Street at this spot until 1927. 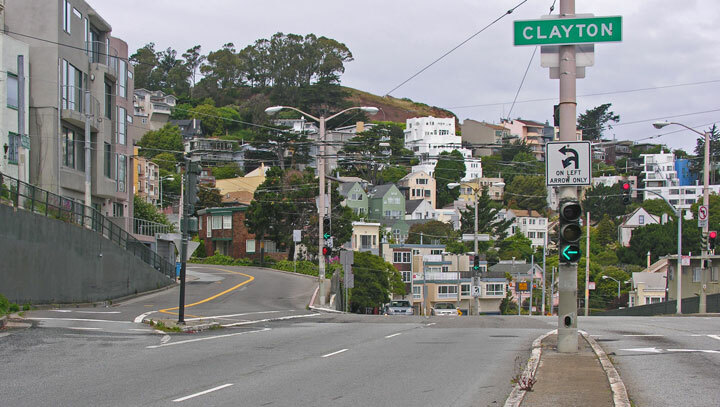 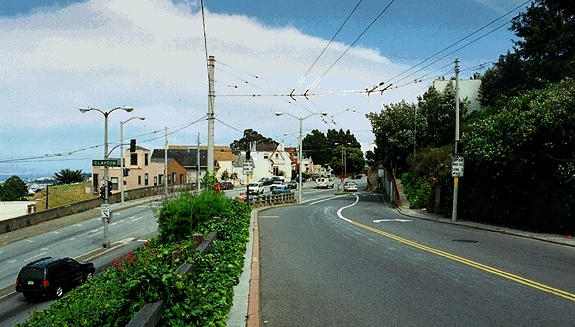 This sharp turn from Clayton to Market was not negotiable by early streetcars so operators would "switch" the backs of the passenger seats at Market Street, thereby "switching" the streetcar in the reverse direction. 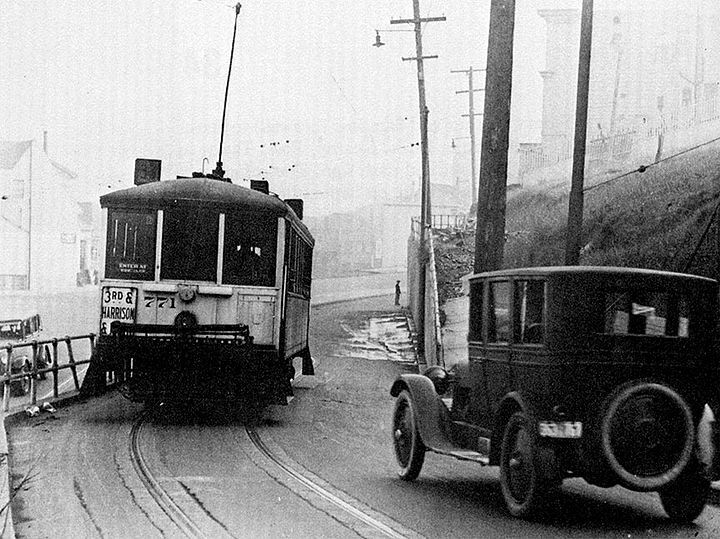 The 33 streetcar maneuvers around a Ford motorcar around 1920. 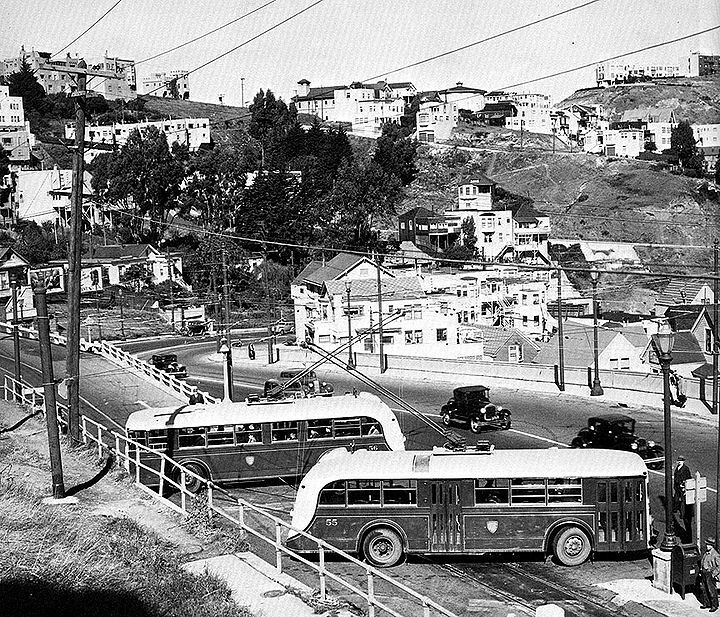 Electrified buses replace the old streetcars by the late 1930s. 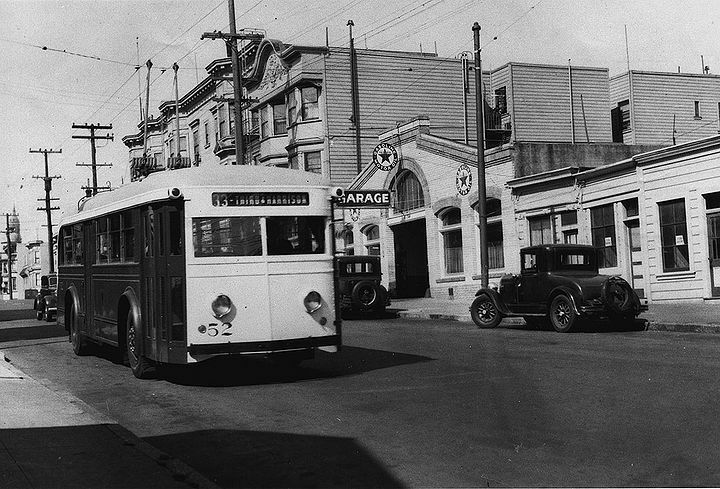 33 MUNI bus on Stanyan near Haight Street, 1930s. 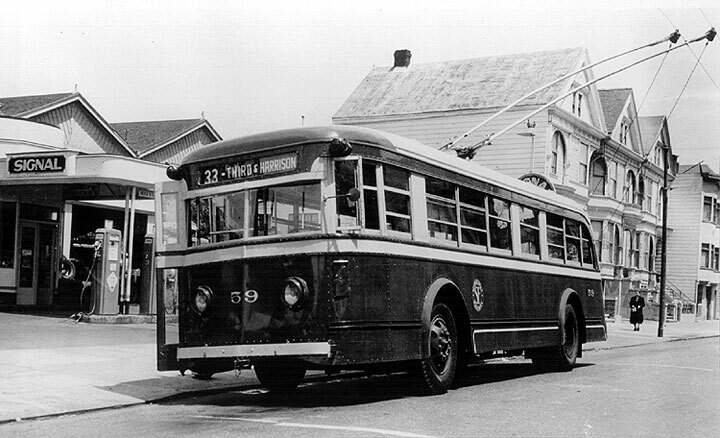 33 bus on Stanyan, c. 1955. 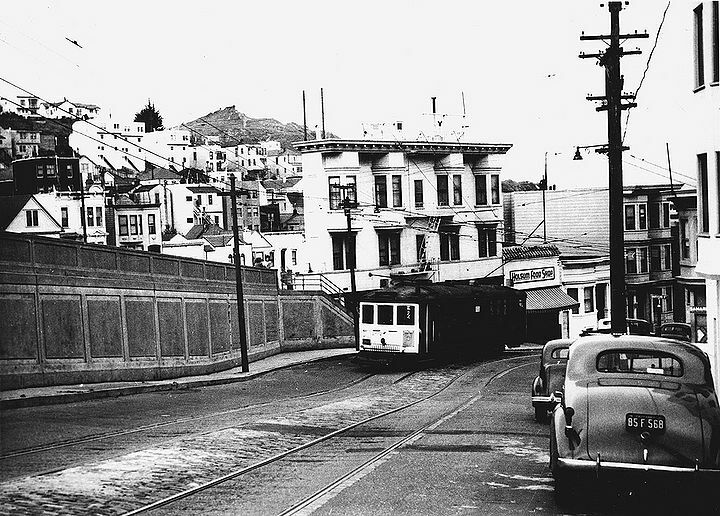 Upper 18th Street just below Market, c. 1940s. 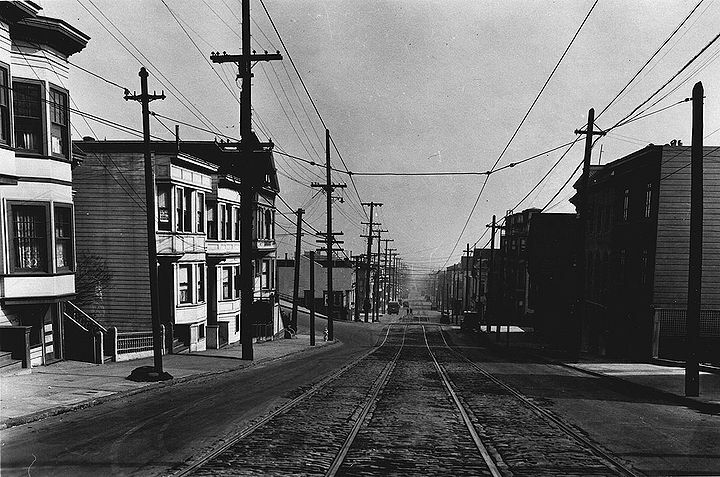 Upper 18th Street looking east towards Hattie (at left), 1926.